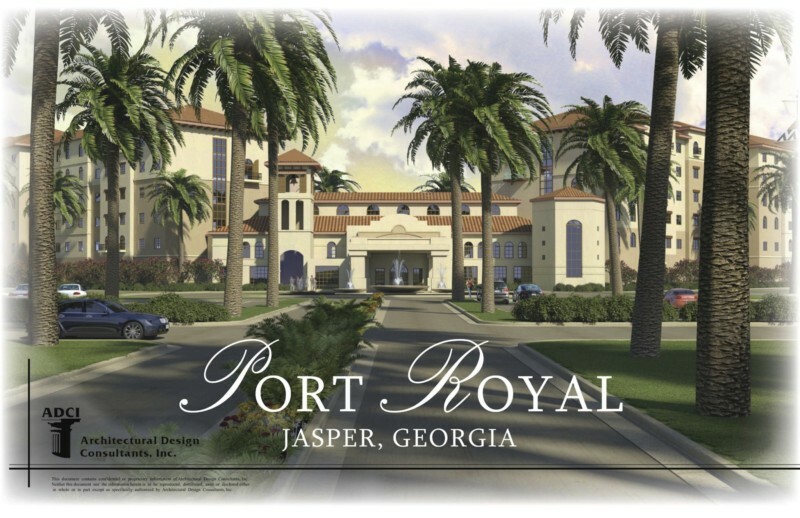 Jasper, Georgia – Port Royal Holdings, LLC, a New York development firm whose principals include famed music and entertainment executive Mathew Knowles, held their first public meeting to unveil plans to develop Port Royal Resort, Jasper, Georgia. 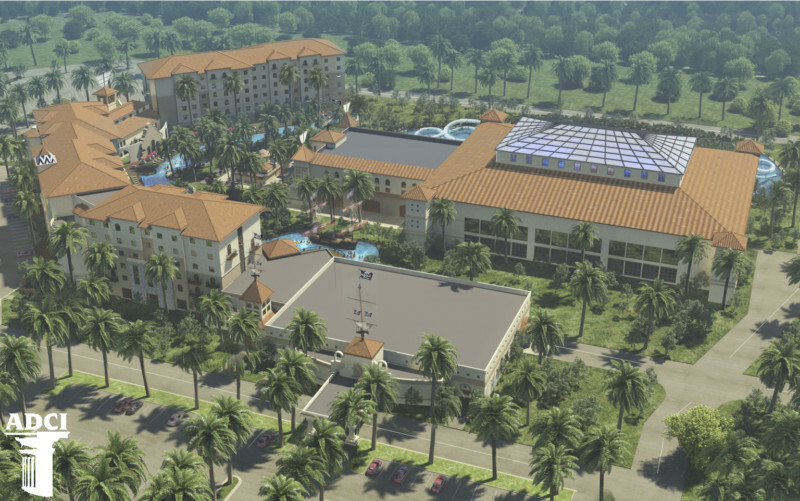 Over 400 enthusiastic guests, including government officials, local residents, civic leaders and business owners learned that Port Royal Resort will be the first North American, fully themed, year round, waterpark resort and conference center replicating the historic City of Port Royal, Jamaica – bringing the colorful Caribbean tropics to Georgia year round. “Our business plan plots the course toward establishing Port Royal as the premier family and business leisure and convention destination in the Southeast as well as a local community hub and regional entertainment venue,” said Mathew Knowles, Chief Entertainment Officer. Jasper Mayor John Weaver acknowledged the potential of Port Royal. “This project turns the switch back on to restart development in Pickens County,” said Weaver. The new state-of-the-art waterpark resort and conference center will feature a 400-room, full service hotel with a day spa, two restaurants, indoor/outdoor lounges, sports bar and retail space, indoor and outdoor waterparks, family entertainment center, conference center, 16,000-seat amphitheater, artificial lake and lush gardens. The resort will be located on a 176-acre parcel of land along Highway 515 atop beautiful rolling hills in the City of Jasper, Pickens County, Georgia. In addition to the waterparks, the resort will offer a number of indoor and outdoor recreational facilities and activities for families, as well as fully appointed executive meeting rooms and business facilities for corporate guests. The conference center’s flexible meeting rooms and banquet halls will accommodate business meetings and social gatherings of all sizes. Port Royal’s sustainability plan includes: local purchasing whenever possible; extensive day lighting; factory engineered components to reduce waste; a combination of permeable pavers, concrete and asphalt, bio swales and retention ponds for natural storm water drainage; low flow, energy efficient and solar powered fixtures; and no or low VOC carpeting, paints, adhesives, caulk and cleansers. The new resort is estimated to cost $145 million, and within the first year create approximately 1,247 construction jobs, 395 permanent, full-time jobs, 600 permanent part-time jobs, generate approximately $11.9 million in additional county and state tax revenue, and an estimated $54 million of additional economic activity within the county, according to an independent economic impact study performed by Hotel & Leisure Advisers, LLC, a leading leisure industry consulting firm. “These are significant job numbers and opportunities for a county with an estimated 15% unemployment rate, not including residents that have to commute outside of the county for employment,” said Eric S. Lund, COO of waterpark industry pioneer S & L Hospitality, LLC, and the former founder of the Great Wolf Lodge chain of waterparks, whose new firm will manage the Port Royal Resort’s day-to-day operations. The development will be financed by a combination of developer and investor equity, debt and existing federal and state economic development programs the project is eligible for. “This project would not have been possible without the City of Jasper and Pickens County’s hands on assistance, which was instrumental in developing the site,” said Barrett. To fully articulate their vision, the developers have assembled a world class, globally recognized development team of leading local, national and international professionals that include: Architectural Design Consultants, Inc., Horizon Construction Group, Weber Group Inc., Aquatic Development Group, S&L Hospitality, Hotel & Leisure Advisers, LLC, Ross Consulting Engineers, P.C., and Acts of Creation, Inc. The project is scheduled to break ground in 2014 and open in 2016.